Railways came into being first and foremost not to carry passengers, but to convey freight, especially mineral traffic, like coal. In the early days, when few lines were interconnected, the variety of goods wagons did not matter, but as railways expanded and through trains became common, it was essential to have wagons whose buffers, brakes, couplings and so on all matched up. The main line railways adopted these fairly quickly, but the private owners, especially collieries and coal merchants, were reluctant to comply, and damage and derailments became common due to their wagons either lacking proper buffers and brakes or being poorly maintained. 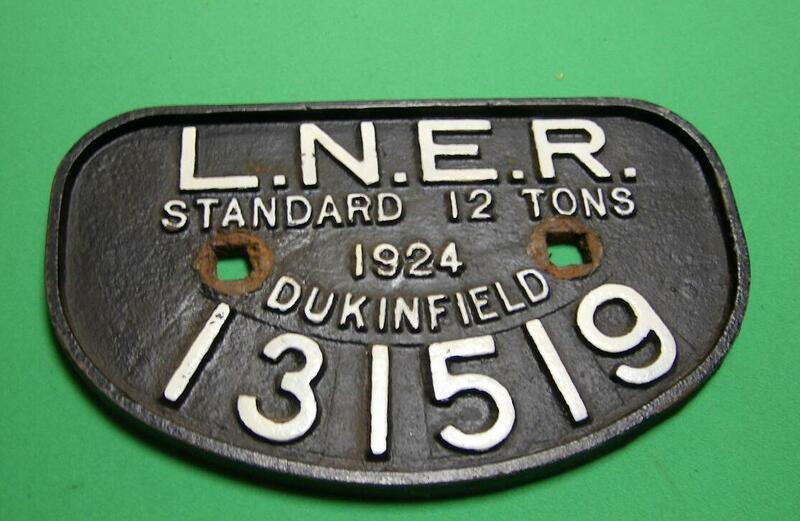 In 1880, however, it became a legal requirement for all privately owned wagons to be registered by the railway company to whose sidings their owners were connected, and only those that reached the Clearing House standard were allowed to run on main lines. Each wagon so passed had two plates, one on either side of the main frame, advising its date of manufacture, its registration number, and its carrying capacity. 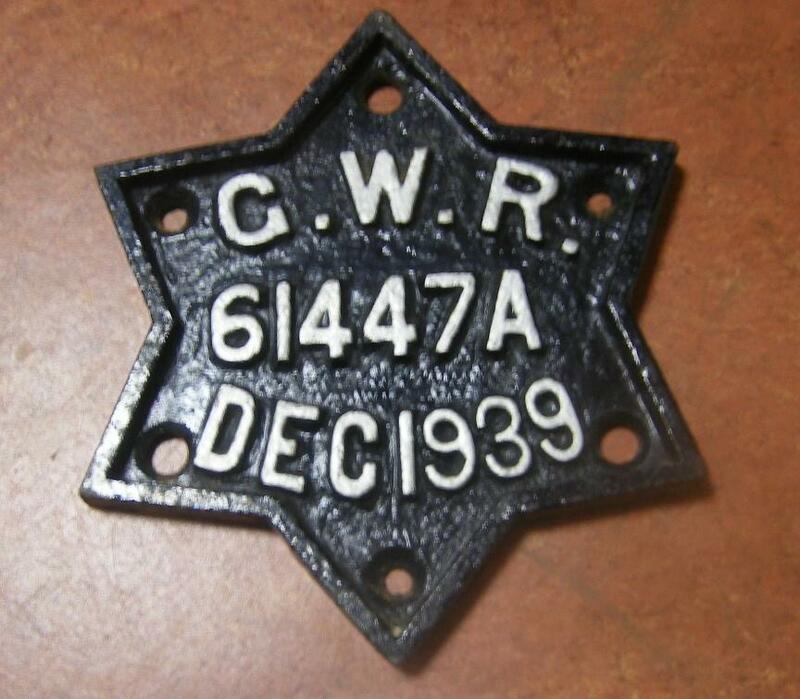 In 1907, the RCH designed a new, star-shaped plate for tank wagons. Many of the ordinary registration plates come with their lugs broken off, but these can easily be repaired using fibreglass filler. The normal colour seems to have been black with white letters, and red with white letters for tank wagons. However, some privately owned wagons were painted in quite garish colours, and it seems likely that their plates were similarly treated. 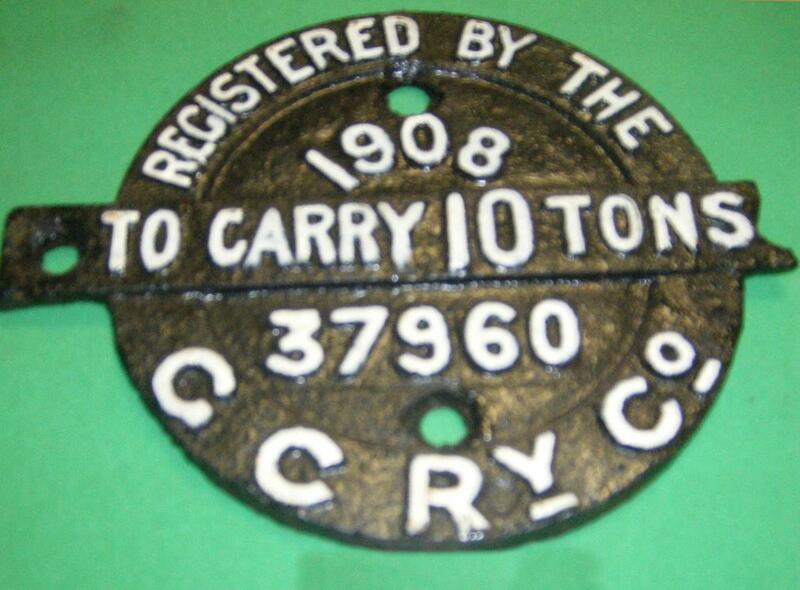 Nearly all plates were made of cast iron, but examples in brass or lead alloy are occasionally seen. This entry was posted in Museum Exhibits and tagged Aldridge, Bloxwich, Brownhills, Burntwood, Chasewater Railway Museum, Chasewater Railway Museum Exhibits, Cheslyn Hay, Great Wyrley, Heath Hayes, Hednesford, Lichfield, Norton Canes, Old Railway Lines, Pelsall, Wagon Registration Plates, Walsall, Walsall Wood, Wolverhampton. Bookmark the permalink.